After mistakes and missteps, Lana and her family come to discover that knowing where you’ve come from is essential to figuring out who you are and who you can grow to be. 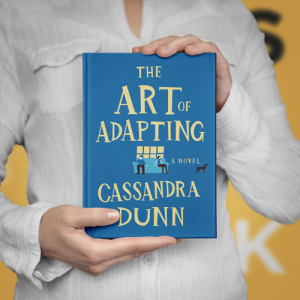 A complex, smart, and genuinely moving debut novel, The Art of Adapting celebrates the small moments and small changes that add up to one bountiful life. "Dunn’s debut novel treats readers to a family in transition. . . . A neatly wrapped, happily-ever-after tale of a broken family that survives and thrives.